With limited space available to build, some homeowners opt to create vertical spaces by building roof or attic rooms. We explore various options and how to erect them. A roof room is a pure green home. “It is a timber or steel structure cladded with Nutec and insulated with different types of insulation from wall to roof. It is then drywalled on the inside and has electricity and plumbing like a conventional building,” states Trevor Williamsm of TJ Roof Rooms. Williams and Andrew Gove, director at GWR Roofing, says there is a big difference between an attic room and a roof room. “A roof room is a room that is installed on top of a house, these rooms would have four square walls and a flat ceiling with a complete roof on top of the walls,” shares Gove. 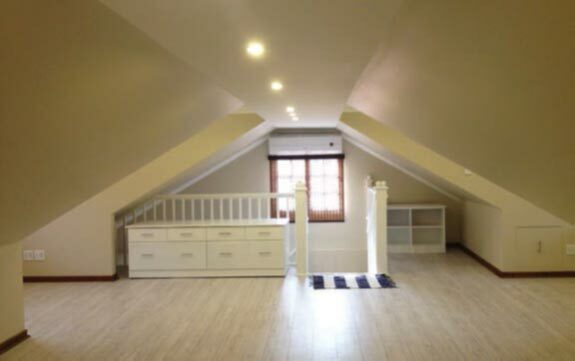 An attic room is a room that’s constructed within the timber roof structure, using the existing structure. “For an attic room, we keep the existing roof intact and create space within the existing structure,” adds Williams. “These often have dormer windows that protrude from the tiles and have raked ceilings in some areas. Erection of these rooms is possible when houses have a steep roof pitch of more than 30 degrees. This is a requirement as the pitch increases the height of the ceiling area and therefore allows standing space within the roof,” says Gove. “An attic room design and installation include timber or steel construction and may comprise ridge beams and rafters or prefabricated attic trusses where a void is designed into the gang-nailed truss. Floors are usually made from shutter boards and walls are constructed from gypsum boarding,” Gove says. Many of the projects completed by GWR Roofing are designed to fit in with the existing style of the house to enhance rather than change the general architectural style. On average, a standard double garage roof, spans between 36 and 40m2. Williams says that this space can fit a self-contained unit that will have a spacious bedroom and en-suite bathroom. 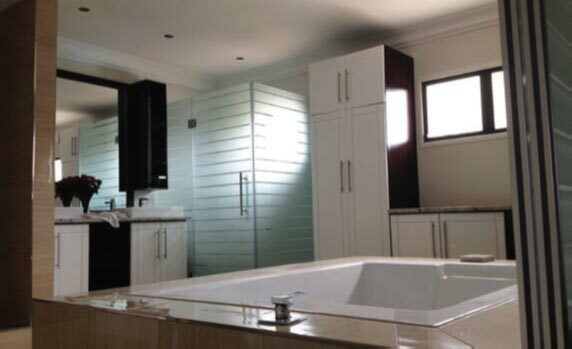 The cost of such a unit can be valued at R250 000. This cost makes a roof room an attractive offer compared to a conventional upper room. “Building a roof room is a quicker and more cost-effective alternative to increasing the size of your house without having to undergo major building works,” Gove says. 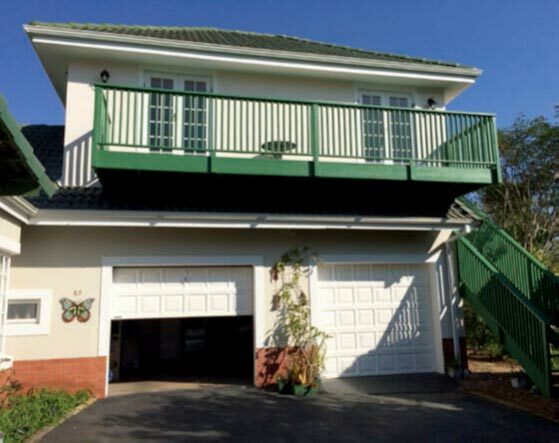 Private residences that boast attic rooms include houses located in gated estates such as Cotswold Downs, Zimbali and Simbithi, situated in KwaZulu-Natal. It is important to note that prior to installation, an accredited roof designer or engineer be consulted as any structural changes to a building must have a rational design. Gove advises that any alterations to an existing roof cannot be done without approved engineering plans and following regulatory sign offs. “The structure is more engineer design than architect design,” Williams explains. He cautions that, “You cannot submit building plans without an appointed engineer.” This is because the engineer will look at the loading and structure to assess if it is according to the National Building Regulations. It is imperative that the architect and engineer work closely throughout the project.